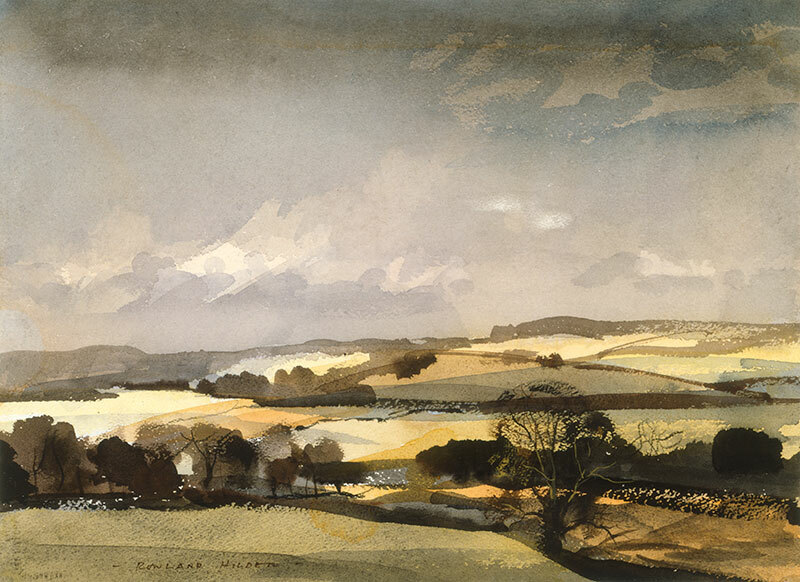 It is hard to think of any landscape painter of his generation whose work is as widely known, and whose images - most typically of the Kentish Weald in the vivid dignity of winter - have taken such a hold on the public's affections. His favourite painting country was the rolling northern downland from Shoreham eastwards towards Maidstone. He shares with John Constable the distinction of having seen an entire region of England identified with his name and art. The description 'Rowland Hilder country' evokes a landscape as distinctive as 'Constable's country' along the Suffolk Stour. He has been called 'the Turner of his generation'. Like Turner he painted the surface-features of a landscape to capture something of its essence. 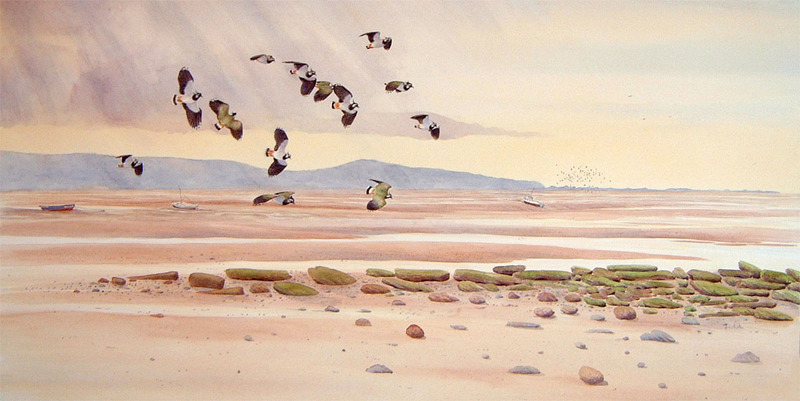 His watercolours are as much about the experience of a place as they are about its appearance. ‘It is not always my purpose’ (writes Hilder) ‘to sit down and paint literally what my eyes tell me is there in front of me, but to search for the essence of time and place’. He had a profound impact on the concept of landscape painting which appealed to enthusiastic amateurs. A visit to the annual exhibition of the Royal Institute of Painters in Watercolours (he was a former President from 1964 to 1974), in the Mall Galleries, London, still reveals groups of artists who paint in his manner, whether they know it or not. A great painter of the English landscape . He trained at Goldsmiths' College School of Art and during his career he has been recognised world-wide as the ambassador for British landscapes. Sir Hugh Casson, the English Architect, Interior Designer and himself an accomplished Artist, once said ‘His style and technique are so recognisable that there are parts of England which - in tribute to his skill - seem to have grown physically to look like his paintings’. As a student with little money he cycled into Kent and discovered the Shoreham Valley in the North Downs where he was delighted to sketch the same barn drawn by the visionary painter Samuel Palmer in the 1820s. This interest in the countryside began a lifelong passion for drawing landscapes in both pencil and watercolour, initially of Kent, "The Garden of England", and the Thames with its sailing vessels and old buildings. Hilder was the first to see the drama and picturesque beauty of the oast-houses in Kent with their white caps and surrounding orchards. Perhaps his most notable work is The Garden of England (1945-50; he worked on it over several years) which was the most popular work at the exhibition 'Landscape in Britain 1850- 1950' staged at the Hayward Gallery, in London, in 1983. The popularity of Hilder's imagery was enhanced by his collaboration with his wife Edith in illustrating Shell's Guide to the Countryside, serialised in the colour magazines Picture Post and Illustrated, reaching a readership of millions each week. Rowland would paint the landscapes and Edith the flowers. This was followed in 1953 by the Shell "Flowers of the Countryside" series. Thanks Martin, glad you liked it.